Using Total Branding administrators can modify the looks of SynaMan to match the theme of their corporate website. See the following example below. You must be using the Enterprise edition of SynaMan in order to use Total Branding. This feature is not available in SynaMan Personal or Professional edition. The Personal edition of SynaMan runs in trial mode for the first 30 days and therefore, you can use Total Branding during this time. Once 30 days are over, you won't be able to use this feature unless you upgrade to the Enterprise edition. Additionally, the following steps assume you have some experience working with HTML and Cascading Style Sheets. This phrase should divide the page into two parts: header and footer. At runtime, SynaMan will replace the text PAGE_HEADER_FOOTER_SEPARATOR with the actual data for SynaMan. Click here for an example page. Assume the actual URL for this page is http://www.YourCompany.com/SynaManTemplate.htm. Then, log in as admin to SynaMan's web interface. Click Advanced configuration on the right hand side. Enter the URL of this template page in the Template URL field. Check Auto update to automatically apply this template periodically, which is very useful if your corporate website gets modified frequently. This option will download the template file once a day and update its local copy. Log out and log back in. You should see the interface changed. Pages that require admin access are not modified by Total Branding. 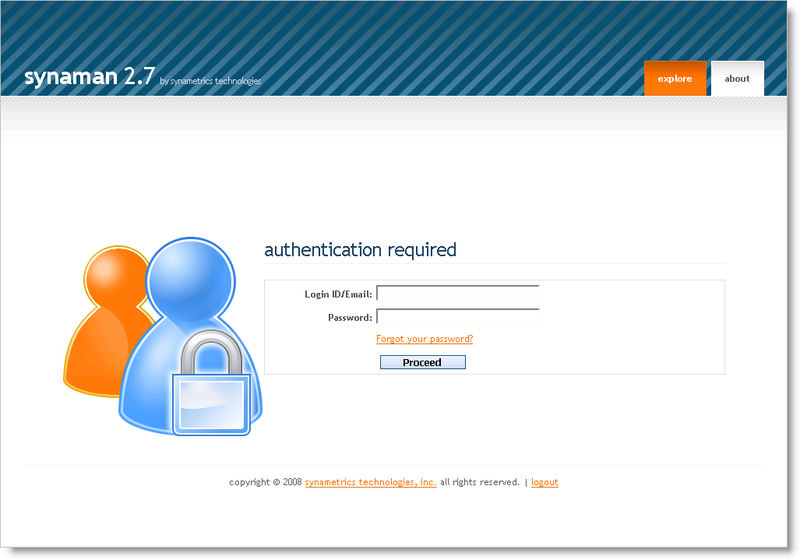 The native interface is required to perform administrative tasks in SynaMan. SynaMan fetches the page specified in the Template URL field and saves this page to $INSTALL_DIR/branding/CustomTemplate.htm file. Opening this file in a browser should render the page exactly as it appears on your website. You are free to make any changes to this downloaded file as you like. 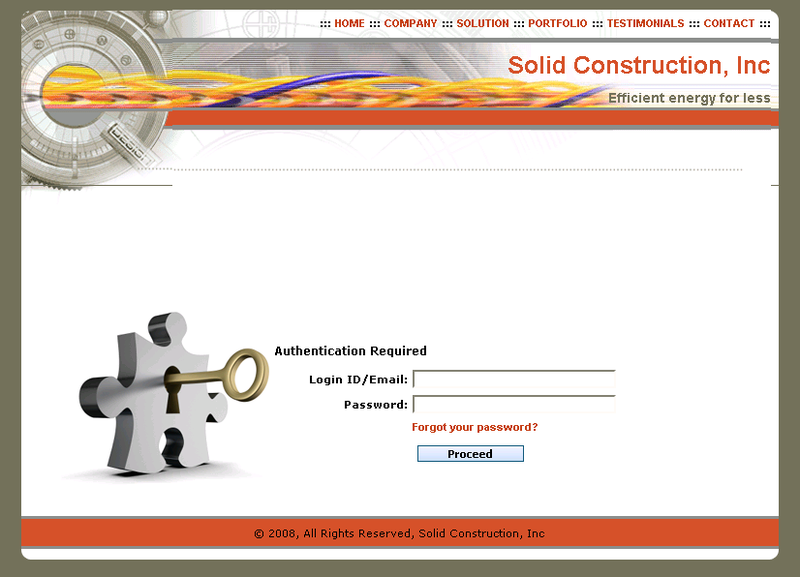 SynaMan uses several images to spice up the web interface. Total branding allows you to modify these images or replace them completely. Additionally, you can also overwrite any style used in SynaMan. Following steps demonstrate how to accomplish this task. First, identify the image you want to change. Some web browser, such as Mozilla Firefox, can display the image file name by clicking the right mouse button and selecting View image from the pop-up menu. Create another image file with the same name and dimensions and save it to $INSTALL_DIR/branding/resources folder. To override any style used by SynaMan, create a file called branded.css and place it in $INSTALL_DIR/branding/resources. SynaMan will load the styles dynamically from this file.